Google will not seek another contract for its controversial Project Maven, in which it partnered with the Pentagon in developing artificial intelligence to improve drones’ ability to identify humans, according to Gizmodo. Over the last few months, Google faced an employee revolt and public backlash over the project, leading to its decision to abandon it. Google Cloud CEO Diane Greene reportedly described the backlash as “terrible” for the company. Earlier this week, the New York Times’ Scott Shane, Cade Metz and Daisuke Wakabayashi chronicled the Project Maven scandal, exploring how the Pentagon contract became an “identity crisis” for Google. 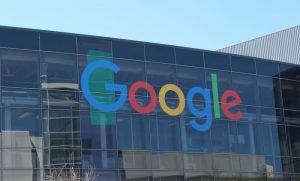 The EU’s General Data Protection Regulation (GDPR) is barely one week old, but so far Google is emerging as the early winner, gathering individuals’ consent for targeted ads at far higher rates than other companies, reports the Wall Street Journal. After months of intense scrutiny from the media, the public, and legislatures worldwide, Facebook now has to deal with livid investors as well: during its annual shareholder meeting on Thursday, CEO Mark Zuckerberg was accosted by angry shareholders over the company’s recent scandals. “If privacy is a human right—as stated by Microsoft’s CEO—then we contend that Facebook’s poor stewardship of user data is tantamount to a human rights violation,” said one Facebook investor, as others called Facebook’s governance structure a “dictatorship” and warned that privacy scandals are “not good for Facebook’s bottom line.” Activist investors had forced votes on six proposals to change the company’s governance and increase transparency, but (owing to the company’s dual-class stock structure) all of them failed. Nevertheless, Facebook’s shareholder revolt is now a fact. American startups are in a 13-year slump. This, argues The Economist, has a lot to do with the power of tech platforms: “Tech giants try to squash startups by copying them, or they pay to scoop them up early to eliminate a threat.” Tech giants, it quotes Silicon Valley venture capitalist Albert Wenger, have a “kill zone” around them, where new entrants who enter their markets can’t survive. For more on the “kill zone” around tech giants, see here. In a related story, David Dayen reports on Engine, a Washington-based advocacy group that allegedly represents startups, but in actuality is a “sock puppet” for Google. “On numerous issues, from patent reform, anti-piracy efforts, and high-skilled immigration, to the recent changes to Section 230 of the Communications Decency Act, Engine’s advocacy and Google’s stated policy preferences are in alignment,” he quotes from a recent Campaign for Accountability report. Makan Delrahim, the head of the Justice Department’s antitrust division, told reporters that he’s not sure the US needs four wireless carriers, as the Obama administration’s antitrust enforcers previously believed. The DOJ is currently reviewing T-Mobile’s proposed $26 billion acquisition of Sprint, which would reduce the number of national wireless carriers in the US to from four three, but Delrahim was noncommittal regarding his stance on the subject. “I don’t think there’s any magical number that I’m smart enough to glean,” said Delrahim, adding that the DOJ would look at the T-Mobile’s and Sprint’s arguments that the merger is needed for them to roll-out a 5G network. For more on this, read Luigi Zingales on why the T-Mobile–Sprint merger will likely lead to higher prices and lower quality. On a related matter, the Department of Justice has approved the merger between Bayer and Monsanto, further concentrating the agrochemical industry to four major companies. The $66 billion merger, which was already approved by regulators in Europe, Russia and Brazil, was made possible after both companies agreed to spin off $9 billion worth of assets and despite widespread concerns regarding the negative impact that rising market concentration could have on farmers. On Wednesday, the Federal Reserve unveiled plans to soften the Volcker Rule, one of the cornerstones of Dodd-Frank, lifting some of the restrictions it placed on proprietary trading. The Volcker Rule has long been the bête noire of the banking industry, and its upcoming demise is obviously a big victory for banking lobbyists. While this has inspired some outrage over the past couple of days, Slate’s Felix Salmon argues that the anger is somewhat exaggerated: the Volcker Rule, he contends, “never really worked.” In The Intercept, meanwhile, Lee Fang writes about the House Democrats who support the GOP’s efforts to further weaken Dodd-Frank. North Dakota Democratic Senator Heidi Heitkamp, currently in a tight re-election campaign, is one of the Democrats who supported the recent roll-back of Dodd Frank regulations. She even stood next to President Trump during the signing of the new bill. Now, thanks to her support for the bill, she has a new and powerful new supporter on her side: the Koch brothers. On Friday, Americans for Prosperity— the political arm of the Kochs’ donor network —unveiled a digital ad campaign thanking her for co-sponsoring the Economic Growth, Regulatory Relief and Consumer Protect Act. From the Associated Press: amid the public scandal over its donations to George Mason University and its influence over academic appointments, the conservative Charles Koch Foundation is increasing its contributions to colleges and universities. The foundation gave nearly $49 million to more than 250 US colleges in 2016, according to the report—a 47 percent increase from 2015. Last week’s monumental Epic Systems v. Lewis Supreme Court decision, which allows employers to prevent their workers from filing class-action lawsuits and force them to sign individual arbitration agreements, is already impacting thousands of Chipotle employees who sued the fast food chain alleging the company routinely forces them to work “off the clock.” “Their case is a perfect example of how the Supreme Court’s ruling will benefit powerful companies at the expense of their employees,” explains Dave Jamieson in Huff Post. For more on inequality, read our recent interview with Berkeley economist Gabriel Zucman, as well as the rest of our inequality coverage. A report from Maplight revealed that three Fortune 500 companies—CVS, Southern Company, and Dow Chemical—have donated at least $1.6 million to America First Policies, “a controversial pro-Trump ‘dark money; organization that’s been criticized for racist, sexist, homophobic, and anti-Muslim sentiments expressed by its staff.” Following the report, CVS and Dow both said they would no longer donate to the organization. VoxEU has launched a new vertical on “Blogs&Reviews” to aggregate posts from less-well-known personal blogs by economists, including inaugural posts from Trade Diversion by Booth’s Jonathan Dingel and The Enlightened Economist by Diane Coyle. Casey Mulligan of the UChicago Economics Department has been named the White House’s CEA’s new chief economist, working under chair Kevin Hasset. On Friday, he took questions in a session at UChicago on his vision for working with President Trump. George Stigler was honored with a new exhibit that opened Friday at the Chicago Economics Experience Museum, with remarks delivered by Michael Greenstone and Lars Peter Hansen. In the latest episode of Capitalisn’t, Luigi Zingales and Kate Waldock interview Tristan Harris, a former design ethicist at Google and “the closest thing Silicon Valley has to a conscience,” who warns them about targeted digital advertising that creates individual, orchestrated experiences dictated by nothing more than an algorithm.